A former US Marine-turned activist told a Turkish court on Thursday that Israeli commandos had opened fire from a helicopter on a Gaza-bound aid ship three years ago. 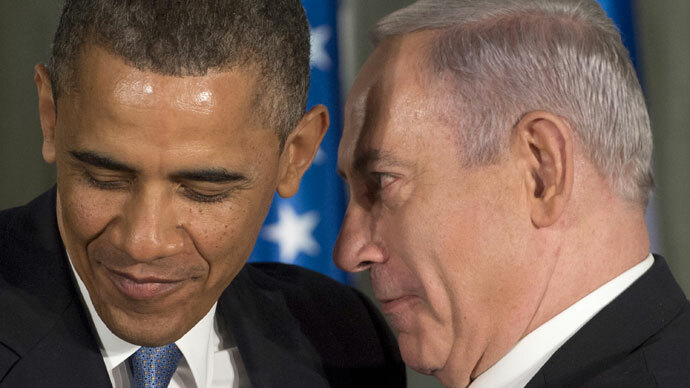 The claim contradicts Israeli’s claim that the soldiers had acted in self-defense. 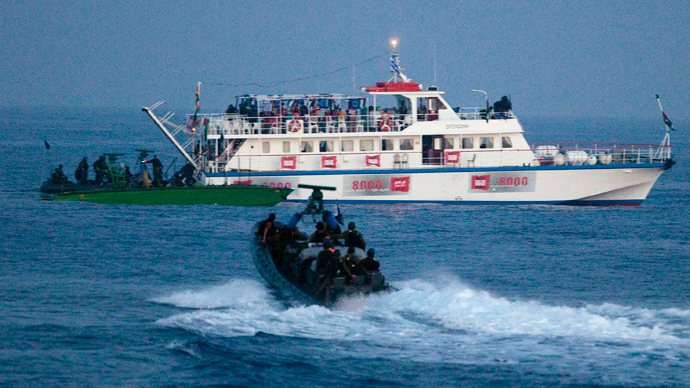 On May 31, 2010, Israeli naval commandos using speedboats and helicopters boarded the Turkish-owned Mavi Marmara, part of the ‘Gaza Freedom Flotilla’ that was attempting to break the Israeli-Egyptian blockade of the Gaza Strip and deliver humanitarian relief. In the ensuing melee, eight Turkish nationals and one Turkish American were killed, and many were wounded. Ten Israeli commandos were also wounded, one of them seriously. 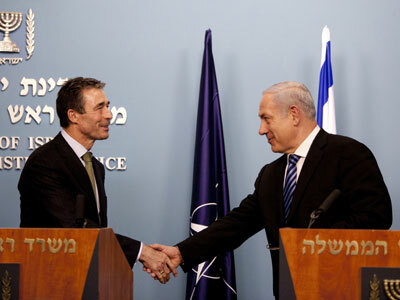 The incident sparked a deep diplomatic crisis between Israel and Turkey - the former a committed ally of the United States, the latter a full-fledged NATO member waiting for membership in the European Union. Today, relations between the two remain tense. Now, a trial being held in absentia in Istanbul against Israel's former Chief-of-Staff Gabi Ashkenazi and three other senior commanders may aggravate bilateral relations even more between the two former allies. Kenneth O'Keefe, an Irish-Palestinian and former US marine who was aboard the humanitarian vessel during the conflict, told the Turkish hearing, which convened in June of last year, that Israeli soldiers had started shooting from the helicopter while it was still in the air. "Within five to 10 minutes after the Israeli helicopter approached the ship, I ran into Cevdet Kiliclar's dead body on the deck, before any Israeli commando had boarded the vessel," O'Keefe said, referring to one of the Turkish activists. Israel has dismissed the Turkish proceedings as a political "show trial" of four former IDF commanders. The 144-page indictment lists "inciting murder through cruelty or torture" and "inciting injury with firearms" among the charges against the now-retired Israeli officers and seeks life sentences for the commandos. O’Keefe’s testimony supports Turkey’s official findings of the incident, described in a September 2011 UN report, which said Israeli commandos had fired upon the activists before boarding the ship. “IDF personnel began firing on the Mavi Marmara from both the speedboats and helicopters before boarding had commenced….Two passengers were killed by shots from the helicopters before the first soldiers had boarded the vessel,” the Turkish Commission report said. Turkey’s version of events, however, clashes with that of Israel’s version, also summarized in the UN report. “Three ‘flash bang’ stun grenades were thrown from the helicopter before and during the descent, but no shots were fired. The soldiers from the first helicopter were met with an extreme level of violence from a group of passengers on the vessel,” according to the Israeli position. 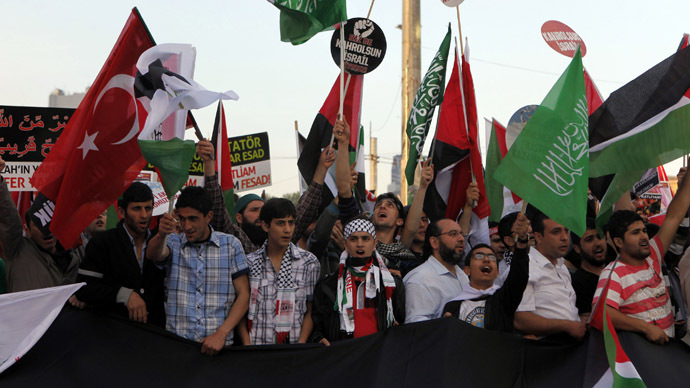 Turkey expelled Israel's ambassador after the 2011 UN report, which concluded, seemingly in favor of the Israeli position, that while Israel had used “unreasonable force” during its raid on the Turkish ship in international waters, its blockade on Gaza was legal. Ankara announced its demands for normalizing bilateral relations with its neighbor - an apology, compensation and Israel ending its embargo on Gaza. In March, Israeli Prime Minister Benjamin Netanyahu phoned Turkish Prime Minister Recep Tayyip Erdogan and apologized for the deaths of the nine activists, pledging to reach an agreement on compensation for their families. The hearing has been adjourned until March 27, 2014.